Hiring a local moving company that can provide results is important. Distance is not the only consideration for a moving service; reliability and professionalism are the factors you should focus on. An amateur moving company can still provide a horrible experience during a small local move. At Green Van Lines, we’re no amateurs. We have expert McKinney movers who get the job done efficiently and safely. 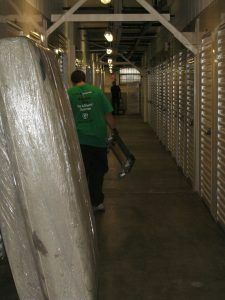 At Green Van Lines, we understand that moving across town is as challenging as moving across the country in some ways. For example, it is entirely up to you whether you pack everything yourself or use a packing service. Our experienced movers in McKinney can pack any fragile items, furniture, and everyday household goods for you. With over three decades of combined experience and a team of logistical experts, Green Van Lines can maintain complete control each mile of your move. We perform all long distance moving tasks at the highest level of efficiency, which makes us a leader among moving companies across the nation. At Green Van Lines, our priority will always be customer service. We understand how valuable your vehicles are to you. Our team of expert movers in McKinney will ensure your car or fleet get where they are going promptly. We have helped families and businesses transport their vehicles for years now! Years of experience have taught us that thorough preparation and planning are the keys to a successful industrial or commercial move. Our McKinney movers work tirelessly to eliminate any and all confusion during the relocation process. In fact, our team will have you up and running at a new location in no time. Moving into a new home is an odd mixture of excitement and stress. There are sometimes thousands of items to pack from your old house, and it seems like there is never enough time in the day. At Green Van Lines, we hire only expert moving professionals who will carefully assess your home, pack and load each item onto our trucks, and help you relocate to the new house. You don’t have to worry about a thing. Our McKinney movers will take immense care while moving all essential office items, including computers, electronics, and even the boardroom table. We help you relocate safely and securely. McKinney residents can visit our Garland location for further information on moving services. Our address is 4417 Forest Lane, Garland, TX 75042. McKinney, a city in Collin County, is located just 37 miles north of Dallas. The Census Bureau named McKinney as one of the fastest-growing cities in 2006. In 2007, the city was ranked as the second fastest-growing. With Collin College and Baylor Medical Center in the city, there are plenty of jobs and opportunities. If you’d like to hire the most efficient movers in McKinney, contact Green Van Lines at 888-770-4733. We’ll help relocate you, your family, or your business today.